MOSCOW, November 29. /TASS/. A delegation of Russian lawmakers currently on a friendly visit to Pyongyang, will deliver Russia’s condemnation of the latest missile test to the North Korean government, a senior Russian lawmaker said. The lawmaker described the test as "a yet another irresponsible move by Pyongyang, intended to fuel tensions in the region. "However, one has to admit that Washington and Seoul have on many occasions provoked the North Korean leadership by their hostile rhetoric and military exercises in vicinity of the North Korean border," he said. "Unfortunately, all sides only continue to fuel tensions, and this may have very nasty consequences." "Russia cannot stay aside, because all those events are taking place in vicinity of our borders," Slutsky continued. "We have issued numerous warnings at all levels about the possible catastrophic consequences that those destructive policies may have for the whole world. 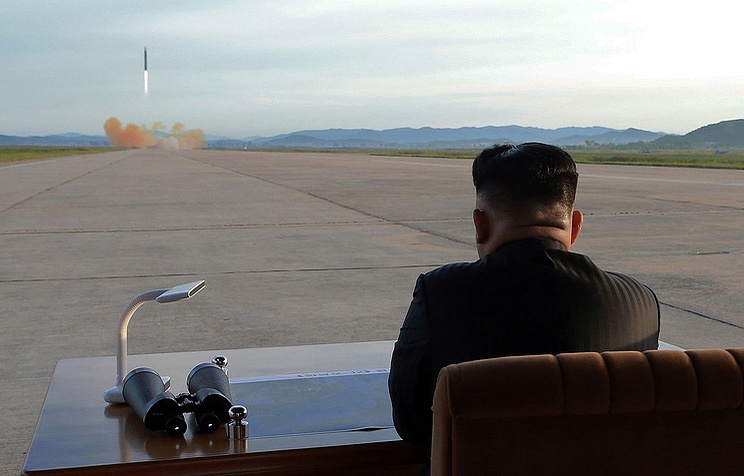 Moscow has repeatedly said that it does not support North Korea’s self-proclaimed nuclear status and condemns missile launches carried out in breach of UN Security Council resolutions. We will continue to watch the situation closely." He added that "the Korean Peninsula’s problems have no military solution." "We need to continue the search for a diplomatic settlement," he said. North Korea’s latest missile test took place at 03:17 local time Wednesday (21:17 Moscow time on Tuesday). According to South Korea’s Korea Joint Chiefs of Staff, Tuesday’s launch was carried out from the South Pyongan Province toward the Sea of Japan. The missile flew eastward, covering the distance of 960 km, at the altitude of up to 4,500 km. 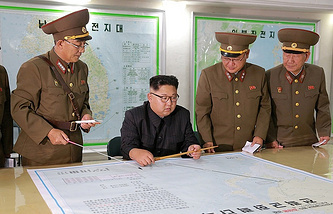 The launch was North Korea’s first after a 75-day pause. UN Security Council resolutions prohibit Pyongyang from carrying out any activities related to the development of nuclear weapons and vehicles for their delivery. Pyongyang does not recognize those documents, citing the right to defend itself against the background of the current hostile policies by Washington. In July, North Korea made two test launches of ballistic missiles. On August 29 and September 15, it launched two missiles which flew over Japan and on September 3 it announced a successful test of a hydrogen bomb.